Freida T. Baker, 97, of Hermon, died on March 14, 2016 at Highland Nursing Home. There will be calling hours Saturday, March 19th, 2 -4 PM, funeral service at 4 PM at the funeral home, Pastor Karen Taylor officiating. Burial will follow in Hermon Cemetery. She is survived by her sons, Arthur and his wife Deborah Baker of Hermon, Donald and his wife Deborah Baker of Norfolk, Daniel Baker of Hermon, a daughter, Ann Villeneuve of Norwood, 12 grandchildren, 12 great grandchildren, several nieces and nephews. She was predeceased by daughters, Donna Baker, Diane Hamilton and a sister, Esther Reynolds. Freida was born on September 7, 1918 in the Town of Canton, the daughter of the late William and Maude Come Thompson. She married Burton Baker, March 28, 1942 at the Methodist Church Parsonage in Rensselear Falls, he died on March 17, 1988. Frieda worked on the Everett Risley Farm in DeKalb until she and Burton were married. 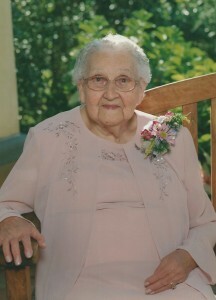 Freida was a member of DeKalb Hermon Senior Citizen Club, DeKalb Craft Club, the United Church of Richville, Friendship Club and the Hermon Ladies Aide (West Hermon Methodist Church). She loved cooking, reading and gardening. In lieu of flowers contributions can be made to United Church of Richville, Main and Depot St., Richville, New York 13681. Morris R. Davis, 76, of Hermon, died on March 10, 2016 at Canton Potsdam Hospital. There will be calling hours Sunday, March 13th , 2 -4 PM, funeral service at 4 PM at the funeral home, Father Douglas Lucia officiating. He is survived by his wife Joan, sons, Robert and his wife Lisa Davis of, Madrid, Kenneth J. Davis of Hermon, daughters, Penny Cornell of Canton, Mellody Davis of Hermon, brothers John Davis of Hermon, James Davis of Hermon, a sister, Esther Davis of Florida, grandchildren, Melissa Brown, Jessica Bessette, Cody Cardinell, 3 step grandchildren, great grandchildren, Brianna Breen, Lila Ann Reed, Willow Pearl Reed, 5 step great grandchildren, several nieces and nephews. He was predeceased by his sons, Scott Davis, John Davis. Morris was born on October 27, 1939 in Colton, the son of the late Erwin and Frances Johnson Davis. He married Joan F. Davis on April 12, 1961 in Niagara Falls. 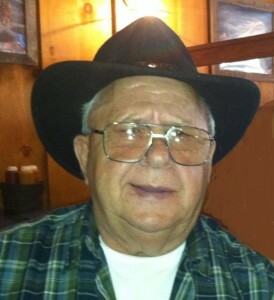 Morris was a truck driver for Alcoa, Massena, retiring in 2002. He was a member of Teamster Union 687, Potsdam, AMVETS Post 11, DeKalb Junction and the Rainbow Brook Hunting Club. He loved cooking, hunting, and fishing. In lieu of flowers contributions can be made to St. Jude’s Children’s Hospital. Theresa M. Buckley, 81, of South Colton, died on March 4, 2016 at her home. There will be a Celebration of Theresa’s Life on Sunday, March 13th at 1 P.M. at the Racquette Valley Fish and Game Club, Cold Brook Drive, South Colton, New York. She is survived by her sons, Earl and wife Marlene Clark of Ogdensburg, Randy Clark of Potsdam, Tracy Clark and Julie Yandoh of Brasher, Paul Clark of South Colton, daughters, Lucy and her husband Charles Lucas-Schloer of South Colton, Patricia Clark and Theodore Lovejoy of Ogdensburg, Christina and her husband Jeff Ward of Brasher Center, a sister Elizabeth Kerr of Norfolk, 14 grandchildren, 11 step grandchildren, 14 great grandchildren, 21 step great grandchildren, several nieces and nephews. 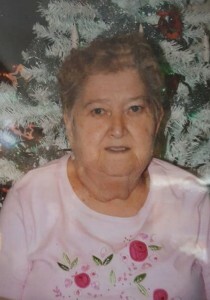 She was predeceased by her son Danny Clark in 1963, a brother Hollis Mosher and a sister Joyce Mosher. She was born on August 29, 1934, in Potsdam, the daughter of Earl B. and Tressia Scovil Mosher. She married Louis Clark at her parent’s home in Colton, 1952, he predeceased her in 1962, she then married Maurice Buckley, he predeceased her, and her fiancée Robert Bacon predeceased her in 1995. Theresa was a self-employed home health care provider, a member of the Potsdam VFW, American Legion in Potsdam, and the Racquette Valley Fish and Game Club. She loved large family gatherings, camping with family, being outdoors, gardening and feeding the birds. In lieu of flowers contributions can be made to the Colton Volunteer Fire Department or Hospice and Palliative Care of St. Lawrence Valley.